Zahra is a young girl who should be known to every person cares about liberty and the plight of young girls in many traditional Islamic areas. Zahra wanted to go to school and follow her dream but she lived in Afghanistan where girls are often treated like commodities. She ended up being transferred to a family as part of a dowry at 11 and married off while in the sixth grader. She was later allegedly burned alive and died in a Kabul hospital — she was four months pregnant. The reason was that the family (which reportedly beat her savagely) was mad that she was not working hard enough. 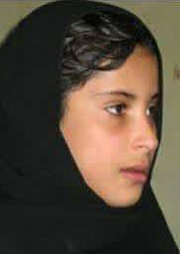 Before she was bargained away, Zahra had performed in school dramas and was selected to perform a juggling act in Kabul. She had dreams. Yet, her mother became paralyzed and her father, Muhammad Azam, decided to remarry. The dowry included Zahra who was married off. Her father worked as a laborer for a family who owed him wages. The family was a powerful clan in Ghor. When his wife was paralyzed, his employers offered him a daughter to marry rather than the wages. Later, the employer backed out of the deal but the father eloped with the girl and her family demanded restitution. Zahra was part of that restitution — treated like a donkey or jewelry. She was six at the time. Her husband married her when she was in sixth grade. Her father (who bears obvious responsibility for her demise) accused the other family of beating and stabbing her for refusing to work in the opium fields while pregnant. He says that they set her on fire. The family insists that it was a case of suicide and self-immolation. They have the continued support of the police, which was accused of ignoring the father’s complaints about the family beating Zahra. The family’s power in Ghor is well known and the police chief of Ghor, Mustafa Hussaini changed his findings in the case from murder to claim that Zahra had self-immolated in protest of her abuse. What is particularly sad is that her family still defends the tradition of marrying off young girls. Afghan law sets a minimal age of 16 for marriages but it is routinely violated, including in this case. Indeed, her father appeared to admit that he bartered her away and arranged the marriage when she was too young under Afghan law. The same can be said of historical Christianity. Ever hear of the Inquisition, the Hundred Years War, Salem, etc.? In FACT, when Spain kicked all the Jews out, many of them settled in the Ottoman Empire in Istanbul, and their language still exists there, Ladino. The Muslims were FAR more tolerant back then than Christians in the main. At least Christianity outgrew their savagery thanks to the Reformation and plenty of wars and dead bodies. Islam: savage religion, savage culture and savage Sharia law.